These are the instructions included with part #569998, a chrome-plated Anderson jalousie window operator. Caulk behind flanges the entire perimeter of unit and insert into prepared opening. Level jalousie header, drill and fasten with screws provided. Plumb one jamb and secure with screws. Do not bind or distort jamb. Always plumb from both outside of frame and face of frame where clips operate. Use shims if nececssary. Plumb oppsite jamb in the same manner, keeping proper clearance for glass (see step #6). When securing screws DO NOT DISTORT FRAME - pull screws down flush with frame and then turn just slightly. We recommend the use of installation screws in sills of mulled units. Install glass carefully. Glass length is 3" less than outside dimensions. Glass must be installed from inside only. Do not distort clips while installing glass. Check clips for proper clearance to avoid chipping. Push glass down completely into clips. Glass often has a slight bow or crown. Use caution in keeping all bows to same direction for better closing. Install operator (see Part 2 below). Protect jalousies. Apply no. 40 oil or similar coating to protect finish for plastering. To clean window frame use mineral spirits, and if necessary, No. 00 stainless steel wool. Glass wax or similar products keep aluminum clean and bright. Install screen clips with no. 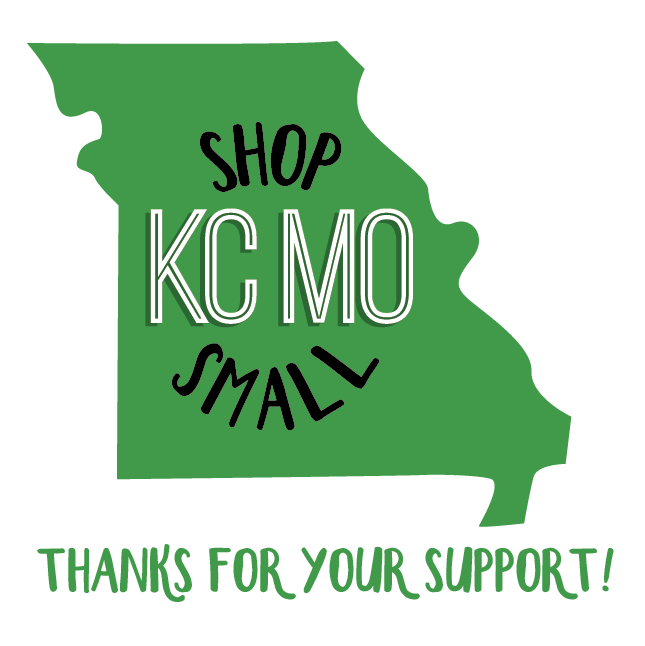 10 X 3/4" self-tapping screws and install screen or storm sash. 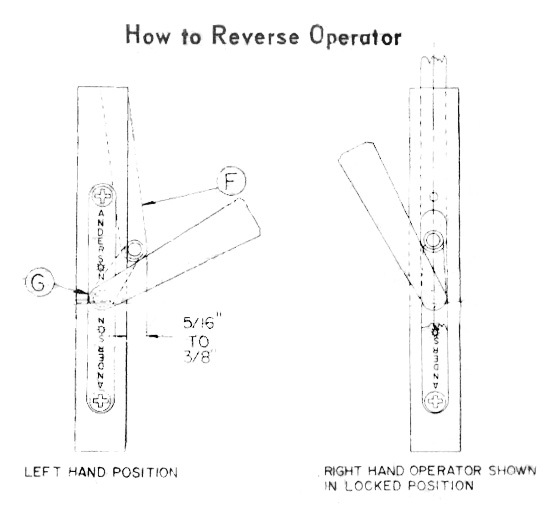 Insert jalousie lever operator into the hole on the right hand of the jalousie frame. Attach to jalousie operator bar "C" shown in diagram. Keep grooved side of part "B" against jalousie operator bar. Square piece "B" shown in diagram should be set in line with Screw "A", and then screw tightened with a 3/8" open end wrench. When the jalousie lever operator is adjusted properly, the chrome handle will be in an 11 o'clock position when locked. When louvers are fully open, the jalousie chrome handle should be in a 6 o'clock position. The operator should have a snug feel when turned. If the louvers do not stay open when you release the lever, tighten the hex nut "D" shown in diagram. If square piece "B" shown in diagram is too far below the screw "A", and then the screw is tightened, the jalousie louvers will close but the handle will not snap over into the locked position. 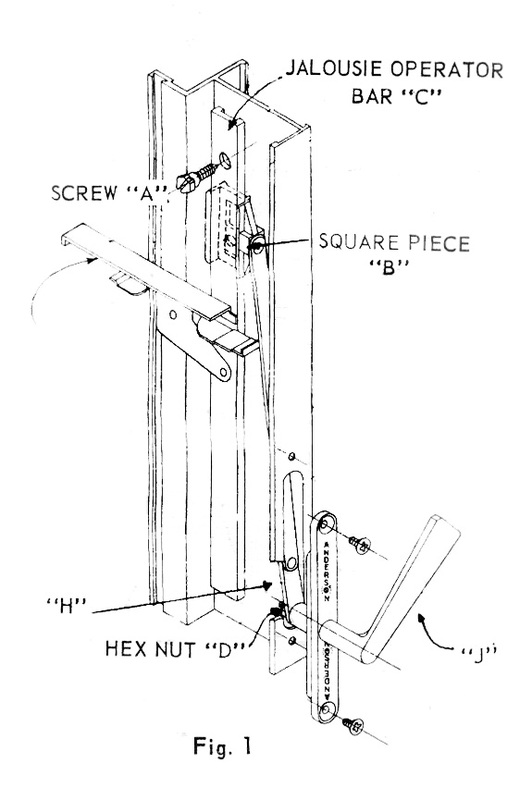 If the square piece "B" shown in the diagram is too far above the screw "A", and then the screw is tightened, the handle will snap into the locked position but the jalousie louvers will not close. To Reverse operator, first remove nut "D", operator arm "H" and the spring washer behind it from operator handle "J" and rotate the hex sleeve (shown at arrow "G"). Figure no. 2 shows a right-hand operator and a left-hand operator. Interference. You may wish to rotate the handle on the hex sleeve a notch to remedy interference with a close wall, etc. This Anderson Jalousie Window has been engineered with the finest materials available to give you years of faithful service. Jalousies do require some maintenance for maximum performance. Louvers work hard - unfasted operator, use a small brush or a liquid detergent and water, and wash out dust and dirt from behind metal clips. Spray on a silicone lubricant, work louvers with flipping action until they work free and easy. Check for bent ciips - one bent clip can keep all louvers from closing. Check frames for distortion. If frames are bowed, it is necessary to loosen frame screws and plumb both jambs. If louvers do not close completely - To make louvers close tighter, loosen screw attaching draw bar and operator and slide square piece on operator link down 1/8". Re-tighten screw. Repeat this step until operator "snaps" louvers into a locked position. If louvers will not stay in a open position - tighten hex nut on back side of chrome lever of operator.